Blurb: When Lyra's friend Roger disappears, she and her dæmon, Pantalaimon, determine to find him. 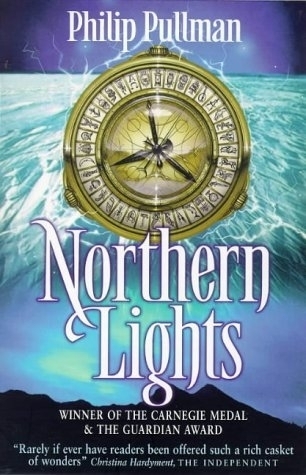 Review: For me, Northern Lights (or The Golden Compass as some of you may not it as) was one of those childhood books that I never really got around to reading. To be honest, I’d never really heard of it before seeing parts of the 2007 film at a friend’s house. For many years afterwards I never really thought of the book or film but upon finding a copy in a second-hand bookstore for about $4, I thought it was probably time that I got around to reading it. Once again, I’m going to break this review into several parts. And as usual, I’m going to start with characters. I love Lyra. I was worried that I might have found her a bit annoying, but that wasn’t the case at all. I thought she was written really well- she was childish when she needed to be, mature when the situation called for it and brave the whole way through. I adored Pantalaimon, her dæmon- I loved how he could change form depending on the situation and how his form could reflect Lyra’s emotions. I totally wish that I could have my own dæmon! 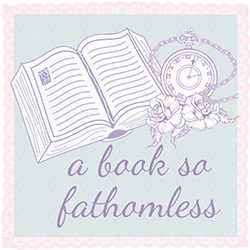 I enjoyed the smaller characters as well- I loved both Lord Asriel and Mrs Coutler, for different reasons of course (the ending had me feeling a little different, I admit). Iorek Byrnison was probably one of my absolute favourites- he was just so awesome! The world was just brilliant. I loved the dæmons, the bears, the witches- they all were created so well and just fit in together amazingly. I don’t say this about books very often, but I almost wish that I could live in Lyra’s world, even just for a bit. (Chami, I know you are sitting there like ‘WHAT ABOUT SHATTER ME?’) But in all honesty, I just think that the world is different (but still close enough to ours) and so interesting that it would be wonderful to explore. Now, onto the plot. I think a lot of the plot really revolved around the world-building- not that either element was more important than the other but in the sense that they related to each other. For examples, the introduction of the bears allowed for their part of the world to be built up. I have to say, I really loved how this was done. We got to see the world, the characters and the story all develop at once. I think one of the only things I didn’t like was the fact there wasn’t really much relationship between what the blurb said and what actually happened in the book- I was expecting a little bit more about Roger but I found that whole scenario just became part of the bigger picture, which is reasonable of course in the story, but I thought Lyra might have dwelled on the fact her friend was missing more than she did. I’m completely 100% excited for the second and third books, which I’ve recently purchased, but I’m also looking forward to reading some more work of Philip Pullman’s which I already own. I’m also looking forward to the chance to be able to watch the film in full and then hopefully write up a book to movie comparison post, so look out for that if you’re interested. I read this book years ago, back when it first came out. I wish now that I had waited until all three books were published before starting the series. Because I read the second book, and then there was such a long wait before the third one came out (three years!) that I'd forgotten everything that came before. I didn't feel like re-reading the whole series, so I just abandoned it.